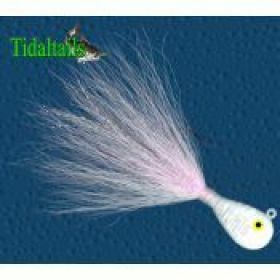 Tidaltails Flathead Bucktail Jig 100 1 oz. This is a current cutting bucktail. Gets down to the fish fast and is great for rip fishing and overpowering strong upswells. The Flat Head is the best design for this type of fishing.